National Real Estate Investor, the leading magazine for professional real estate investors, has ranked CB Richard Ellis Group, Inc. (CBRE) the No. 1 U.S.-based commercial real estate brokerage firm for the eighth year in a row. The ranking, featured in the publication’s April 2011 issue, is based on the aggregate value of sales and leasing transactions completed globally during 2010. CB Richard Ellis was responsible for $128.1 billion of global sales and leasing transactions in 2010. This total was nearly twice the transaction value of the number-two firm, which reflected CB Richard Ellis’ lead over the second-place firm widening by $17.5 billion—or 10 percentage points—compared with 2009. 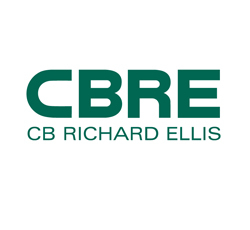 CB Richard Ellis Group, Inc. (NYSE:CBG), a Fortune 500 and S&P 500 company headquartered in Los Angeles, is the world’s largest commercial real estate services firm (in terms of 2009 revenue). The Company has approximately 29,000 employees (excluding affiliates), and serves real estate owners, investors and occupiers through more than 300 offices (excluding affiliates) worldwide. CB Richard Ellis offers strategic advice and execution for property sales and leasing; corporate services; property, facilities and project management; mortgage banking; appraisal and valuation; development services; investment management; and research and consulting. CB Richard Ellis has been named a BusinessWeek 50 “best in class” company for three years in a row. Please visit our Web site at www.cbre.com.